I received a ping from the Man in White T-Shirt, telling me that Gert de Mangeleer was coming to town and doing a pop-up at the Hong Kong Jockey Club. It took all of 3 seconds for my excitement level to go from zero to 150%. I absolutely loved the dishes I had when Gert came to do a pop-up last year, and I had just been talking to Mr. Ho about going to Hertog Jan and dining in their farmhouse. So I couldn't be happier to find him back in town again. And it took me less than a minute to ping the Fergies... since they're members of the club and can actually book us a table. After a quick check, we realized that booking didn't open for another 12 days, so I was tasked with reminding Fergie to make that booking - when it opened at 9:00 a.m. on the day. Funny thing is... I didn't have to. Small Person pinged to remind her husband half an hour before booking started, and Fergie took a break from his session with the trainer to make the call. So we had our table. And because we had quite a few of us... and because Fergie's reputation precedes him... we were given the private room at Derby Restaurant - so we could be as loud and obnoxious as we pleased without disturbing the other members too much. Tomato cannelloni - these were filled with fresh cheese in the middle, and sprinkled with a powder made with 107 different varietals of tomatoes. Yes, boys and girls, that is one hundred and seven different types of tomatoes. Nice. Marinated bell pepper with goat cheese and anchovy - one of the few items repeated from last year. Taking the top off reveals the goat cheese inside, along with the anchovy. There was plenty of sharp acidity here in the pepper, which helps cut down the richness of the goat cheese as well as counter the saltiness of the anchovies. Right off the bat, you've got some pretty heavy flavors. Foam of potato topped with coffee, vanilla oil, and Mimolette cheese - a totally amazing dish, and apparently a signature for the restaurant. It's at once savory and sweet, although the balance tilts towards saltiness. The potato provides the basic creaminess, but the vanilla and the coffee flavors pierced through the savory cheese to announce their presence. Very exotic, and lovely fragrance. One can see the different layers here, with potato foam at the bottom, then coffee powder, vanilla oil, and finally shavings of Mimolette. Meringue of passion fruit filled with goose liver, bergamot, and Coca-Cola - a familiar snack from last year, although sans the thin layer of Coca-Cola gel at the bottom, it seems... The fennel seeds and bergamot delivered their distinctive flavors over the creamy goose liver and the passion fruit. Avocado, tomato powder, and Hertog Jan olive oil - the avocado was covered in the same tomato powder used on the cannelloni, with 107 different types of tomatoes. We were also surprised to learn that the olive oil comes from Hertog Jan's own farm, since the climate would seem to be a little cold for olive trees. In any case, this was simplicity and purity in a nutshell. The giant poster displayed at the front of the clubhouse publicizing this pop-up prominently announced "Simplicity is not simple". I think that's exactly right. Royal Belgium caviar, marinated watermelon with dashi vinegar and Mozzarella - when I first read the menu and saw this dish, I was at once overjoyed yet slightly dismayed. Overjoyed because I loved the caviar, watermelon, and Mozzarella dish Gert showed us last year. It was absolutely harmonious and delicious, and visually stunning. Slightly dismayed because I would be repeating a dish from last year instead of trying something different. As it turns out, this wasn't the case at all. While the three main ingredients may be the same as what I had last year, the manifestation and presentation was completely different. It's certainly not as pretty as before, as the watermelon - marinated in dashi (出汁) - is now just one large round disc hidden underneath the 20g of caviar. Gone are the kohlrabi and nasturtium. The Mozzarella now comes as a thin, somewhat powdery "milk" instead of little round balls. Not surprisingly, the sweet watermelon paired well with the caviar. And the creaminess from the Mozzarella also helped to temper the savory flavors of the caviar. When I discussed this with Gert at the end of our meal, he felt that this version of the dish was "more pure". I could not disagree with him. Langoustine 'dim sum', pumpkin, passion fruit, and cacao - last year Gert brought us similar-looking "dumplings" made with kohlrabi, and tonight the wrappers were made of thin sheets of pumpkin. The fillings were made of langoustine, and the sauce was made with deep-fried langoustine heads and their tomalley, along with some vanilla oil and passion fruit sauce. Finally, there was a sprinkle of cacao powder on the dumplings and a few crystals of sea salt. The flavors here were just so complex... You've got the umami from the langoustine broth; exotic, tropical fruitiness and acidity from the passion fruit; sweetness from the vanilla; some lovely cacao; and an exotic spice that I mistook for cloves, but which in fact turned out to be wattleseeds. A lot of distinctive flavors here, but they all seemed to come together without any one of them feeling out of place. Wow! Goose liver, smoked eel, green herbs, and pickled vegetables - another dish where I was surprised by the presentation. I had thought Gert was doing the same dish as the one I had last year. Nope. Once again he delivered a different variation using the same ingredients, which is visually more stunning. The smoked eel (probably from the Oosterschelde delta like last year) was wrapped around the foie gras terrine, and topped with slices of kohlrabi and beets, and garnished with pickled beets and flowers. The dashi was a little smoky and sprinkled with cumin seeds. The lovely fragrance of bergamot seemed to emanate from the kohlrabi. Just an incredibly lovely dish. 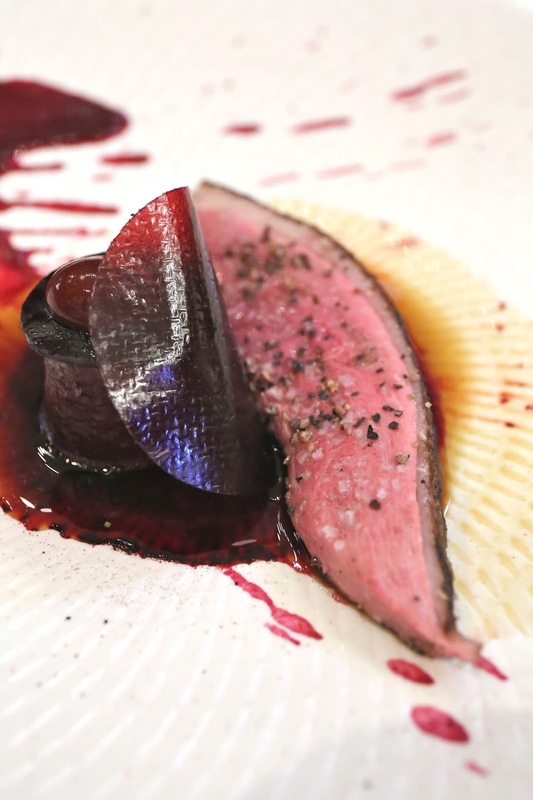 Duck from Chalans, grilled on hay with beetroot, cherry, and liquorice - the beautiful Challans ducks, which aged for 10 days, were presented to us whole, and the room was filled with the lovely smokiness of hay instantly. There was some trepidation on the part of both Hello Kitty and myself, because neither of us are fans of beetroot. The big cylinder of beetroot did have those earthy flavors we are not fond of, but I still managed to eat most of it. The sauce was made with beetroot, licorice, cherries, and raspberries. The duck was perfect. Very tender, well-seasoned, with smoky flavors in the skin. The thin sheet on top of the cherry and beetroot was chewy and tasted full of licorice flavors. 'Snickers': chocolate - pinda - caramel - who doesn't like Snickers after dinner?! You've got the deconstructed Snickers bar at the bottom, with chocolate, peanuts, and caramel. On top was a block of "crème de caramel" that had been frozen in liquid nitrogen, and some liquid caramel was drizzled for more ooomph. Just.delicious. I could have taken another. 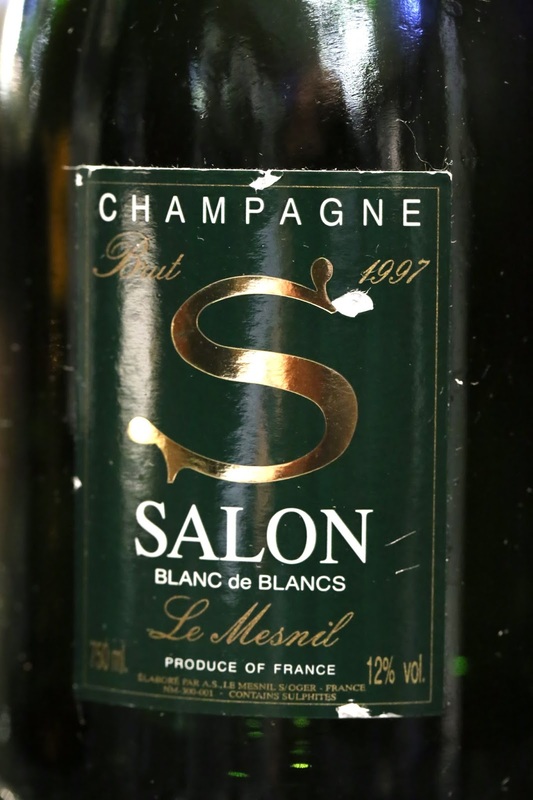 1997 Salon Le Mesnil - a little toasty and a little salty plum (話梅). Acidity was higher than expected. 2006 Bernard Van Berg La Rose Rosé - pretty sweet on the nose, with a little candy, coconut butter, a little Chinese licorice (甘草), sugarcane, and very bubble gum. 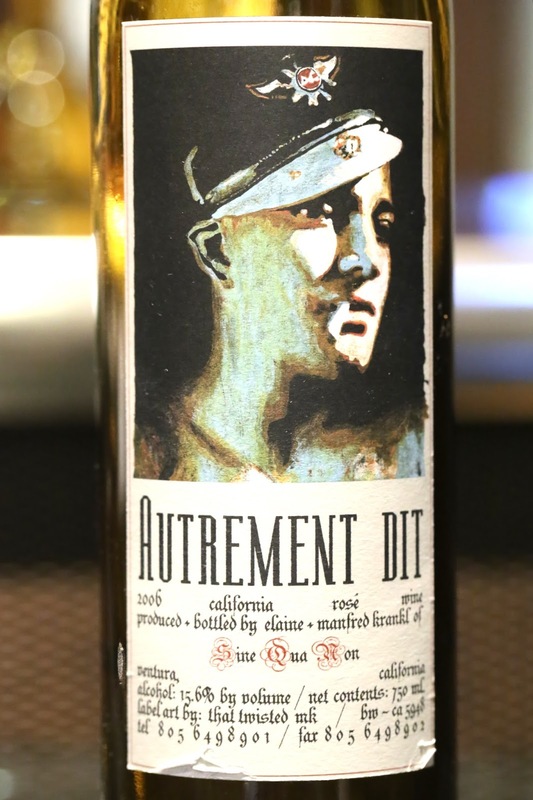 2006 Sine Qua Non Autrement Dit - the other rosé in the pair, with a much darker color. Nose was more pungent, very sweet, and lots of strawberries. 1990 Camille Giroud Pommard 1er Cru Clos Les Epeneaux, en magnum - opened 2 hours prior and decanted 1½ hours prior to serving. Drinking very well tonight. Smoky, savory nose with eucalyptus, and fragrant cedar notes. 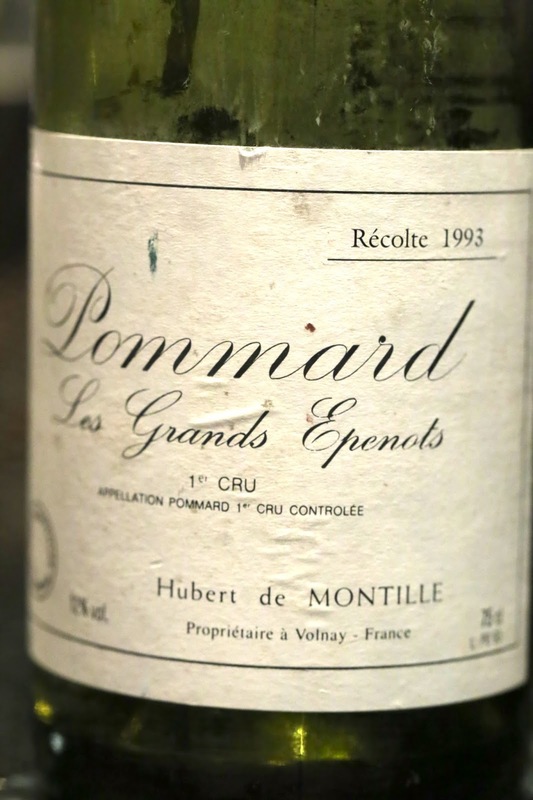 1993 Hubert de Montille Pommard 1er Cru Les Grands Epenots - nose was a little dusty. Savory and smoky notes. 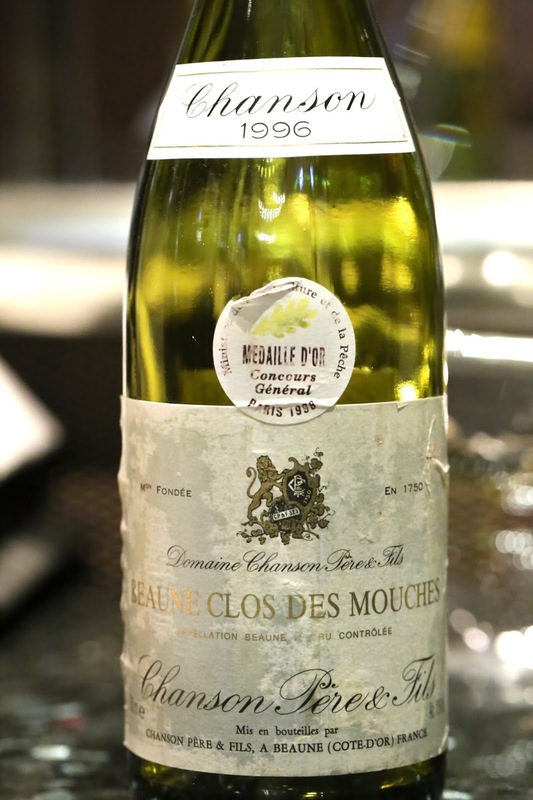 1996 Chanson Beaune 1er Cru Clos des Mouches Blanc - nose of marmalade, sugarcane. Fresh, rich, and a little sweet. 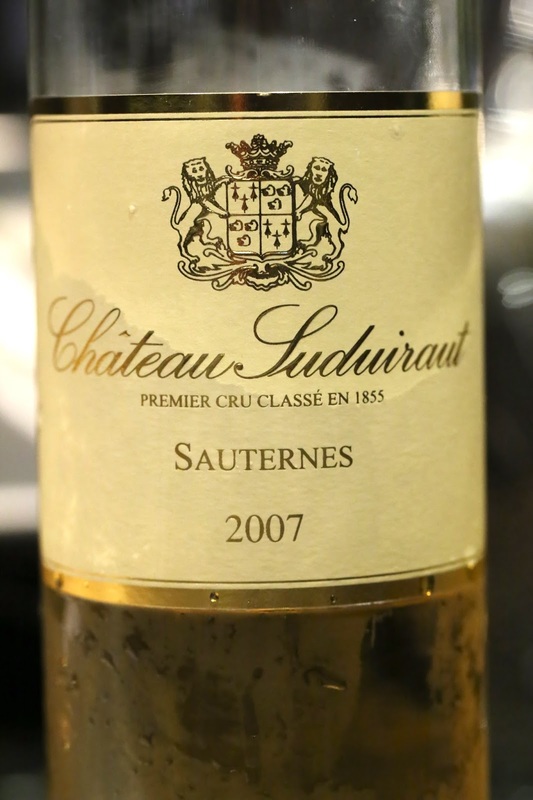 2007 Suduiraut - nose of acetone, marmalade, orange blossom, and honey. Really sweet on the palate but there's enough acidity for balance. This was another fantastic dinner from Gert, and showcases not just his amazing flavor combinations but also the quality of the produce. They shipped everything in from Belgium in two shipments, with the vegetables and herbs coming in the day before the first day of the three-day event. We were a group of picky diners and I think expectations were surpassed around the table, so there are now discussions about a trip to the farmhouse next summer. I look forward to seeing Gert again, but on his home turf next time.